Waikīkī, also known as Waikiki Beach, is a beachfront neighborhood of Honolulu on the south shore of the island of Oʻahu in the U.S. state of Hawaii. 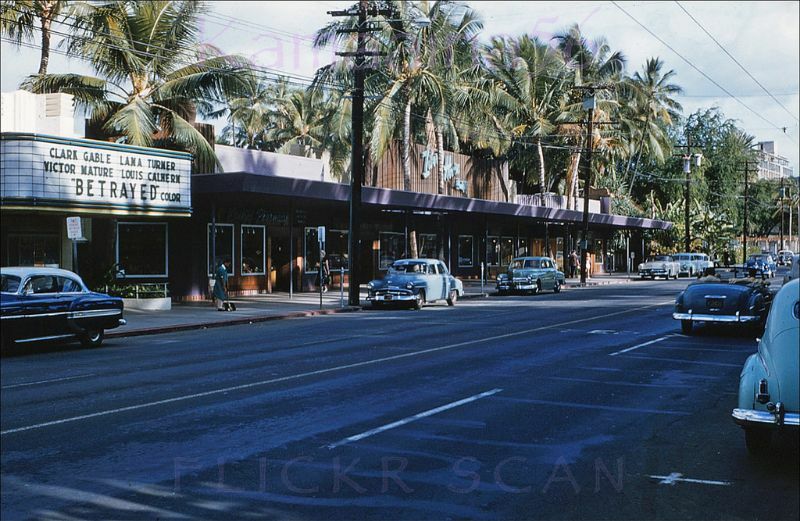 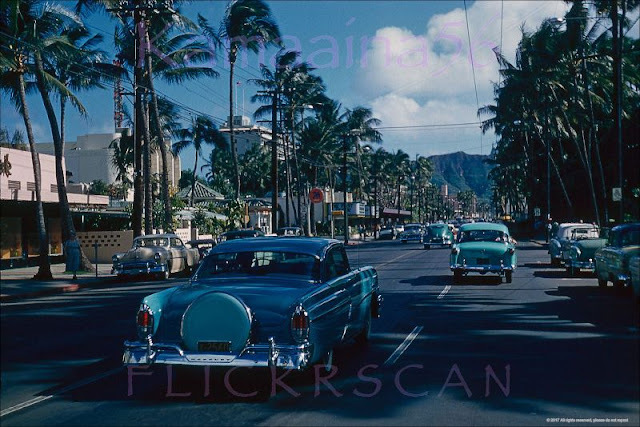 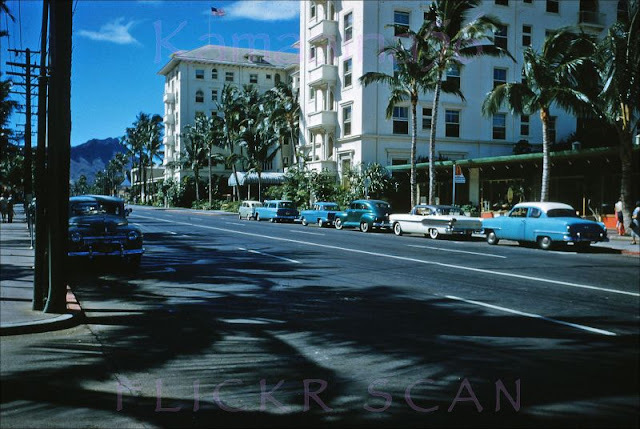 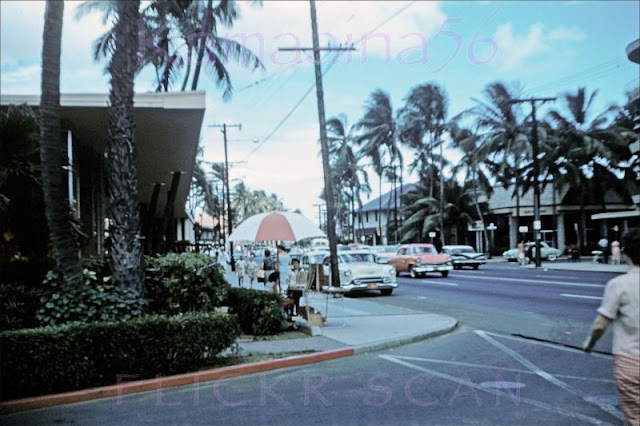 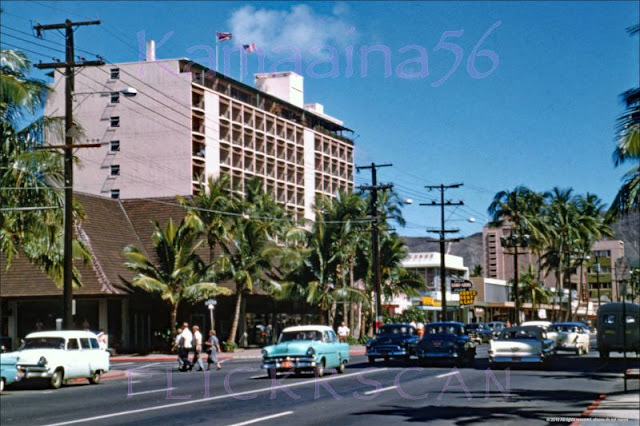 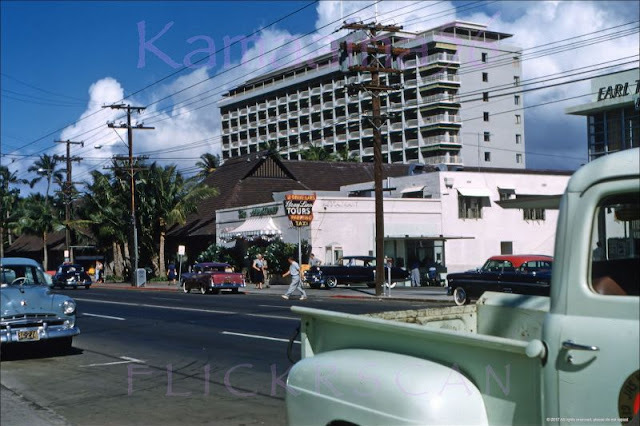 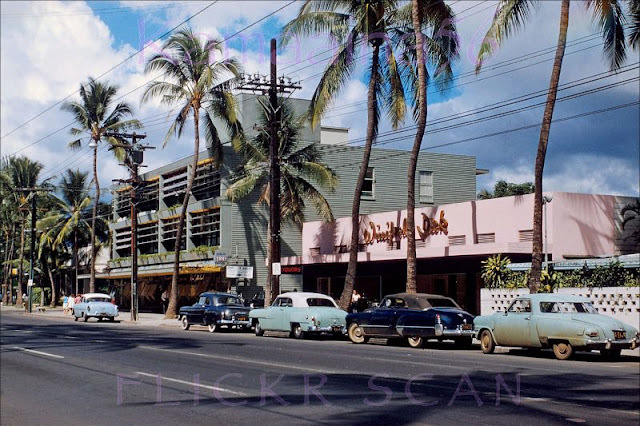 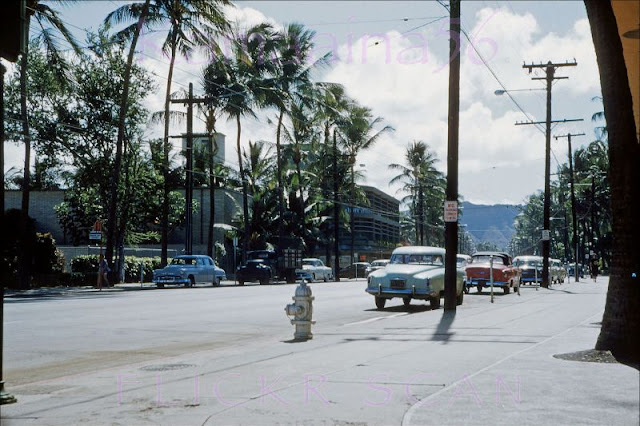 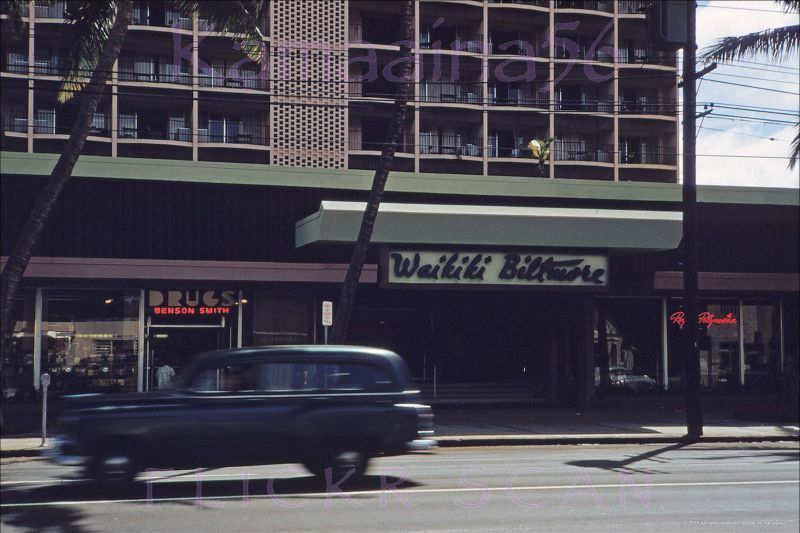 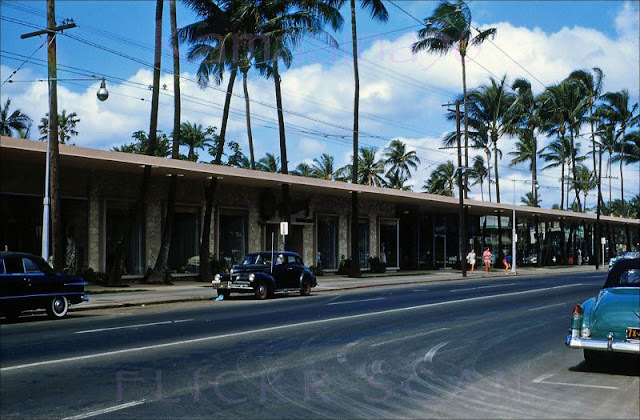 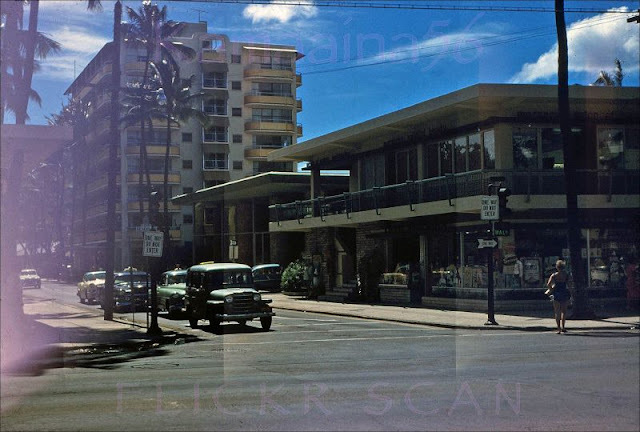 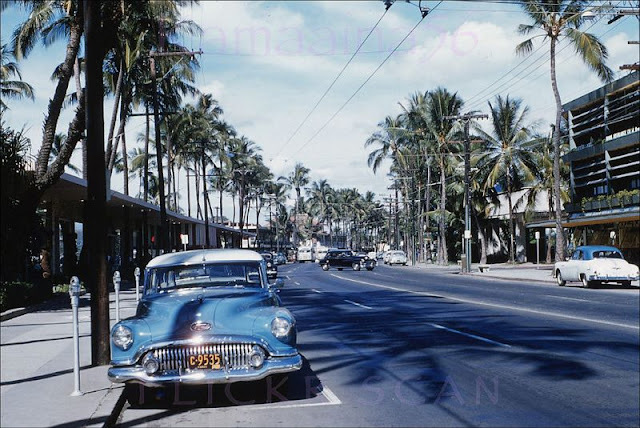 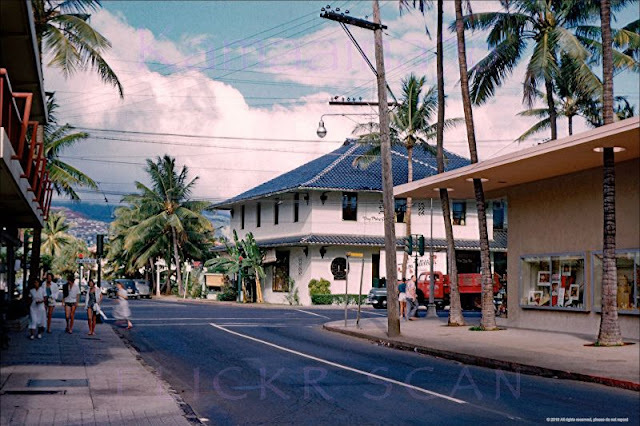 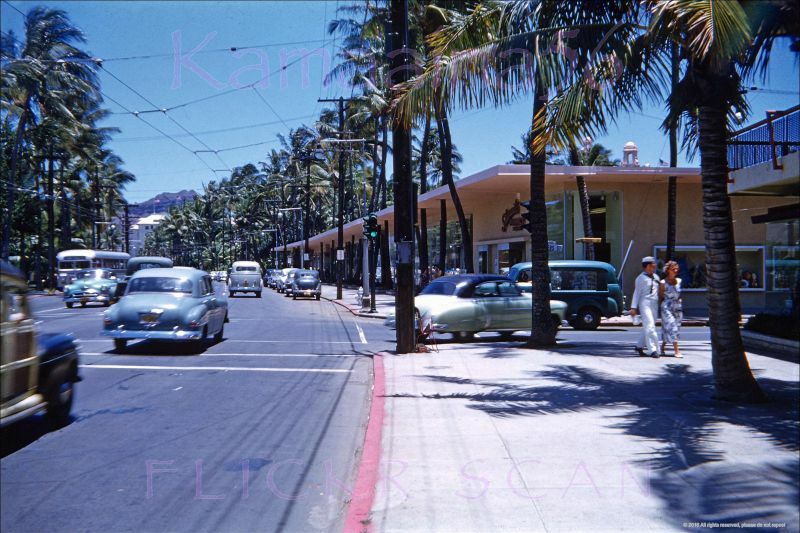 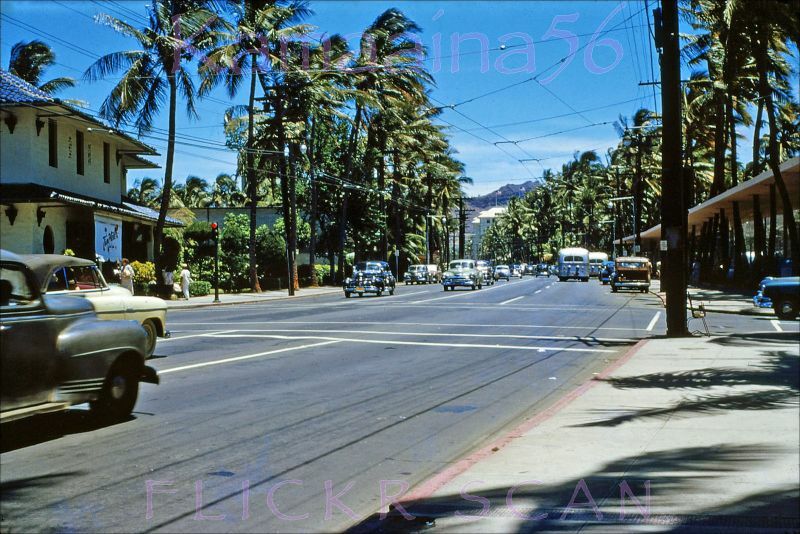 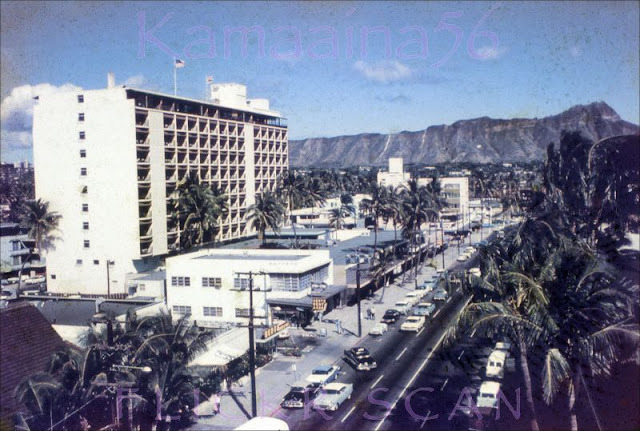 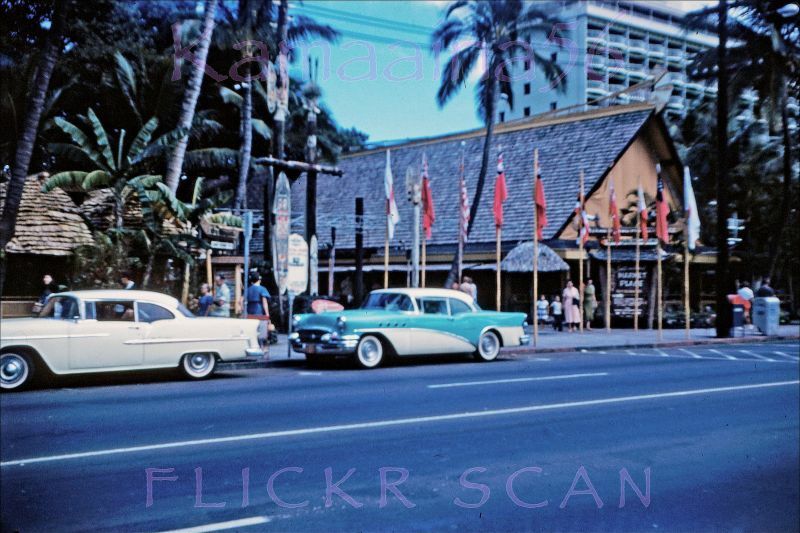 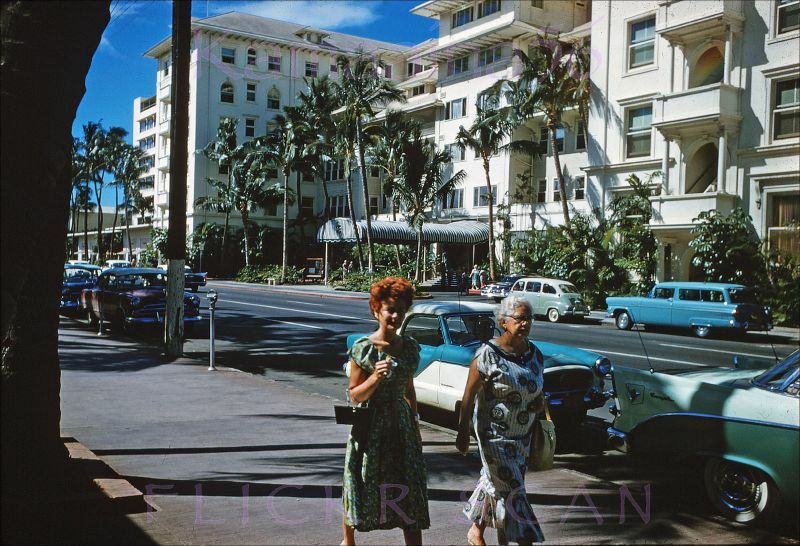 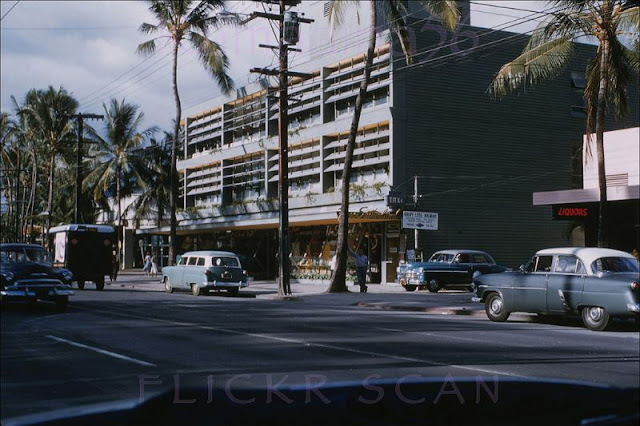 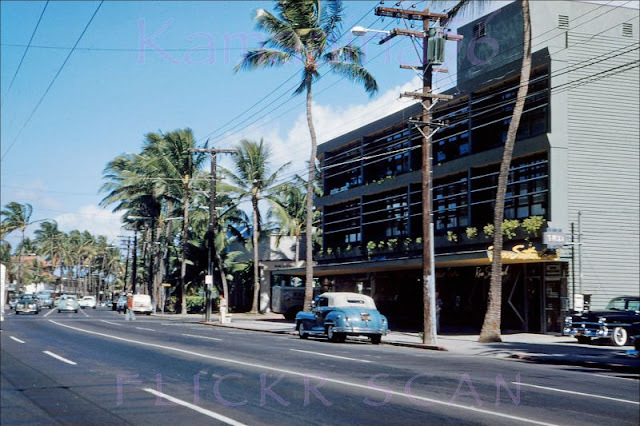 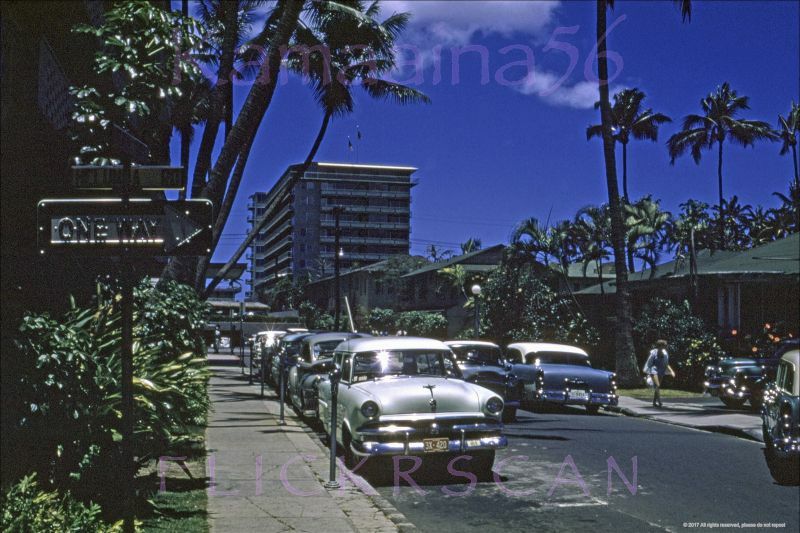 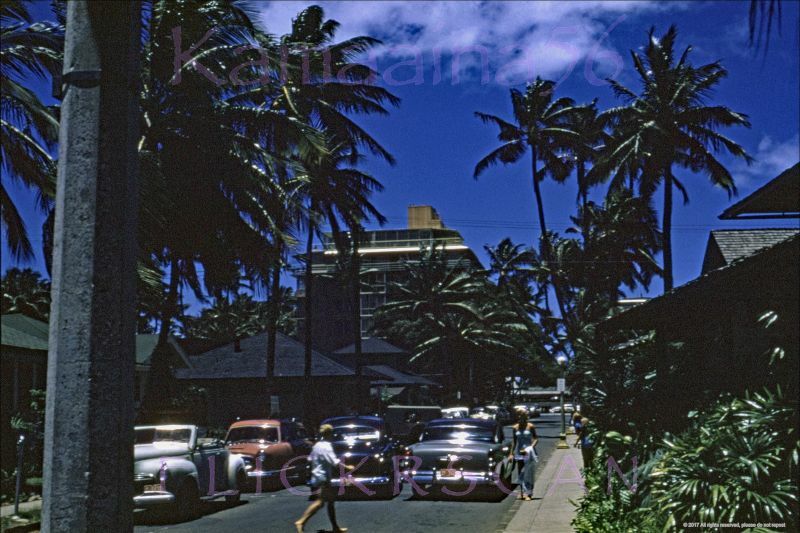 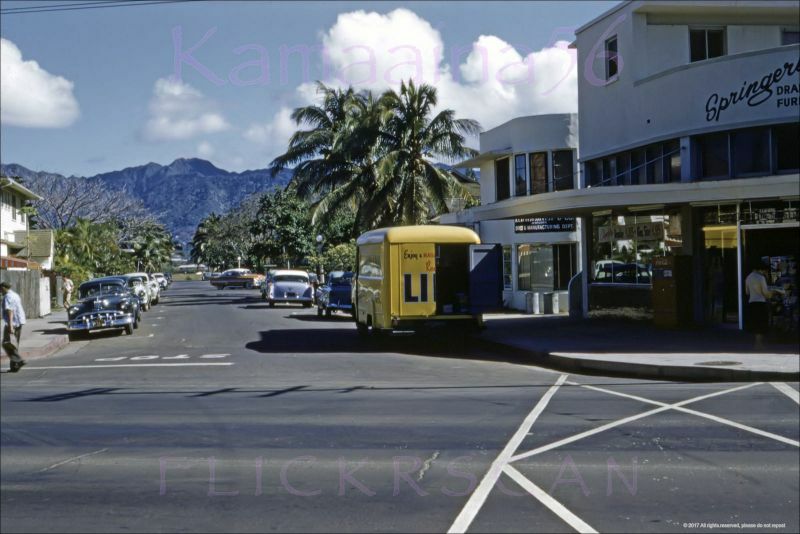 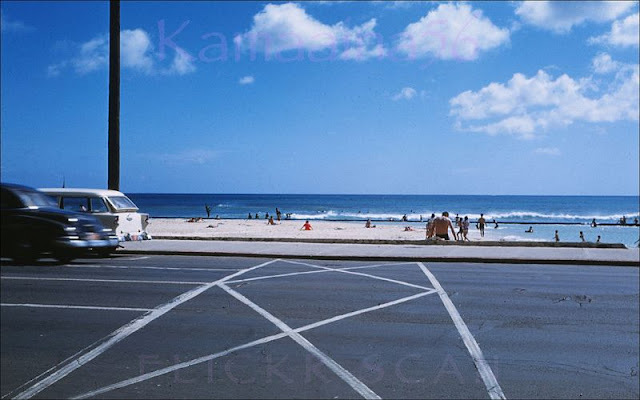 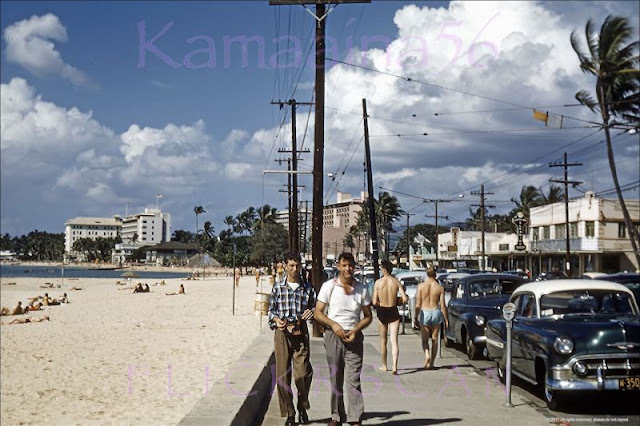 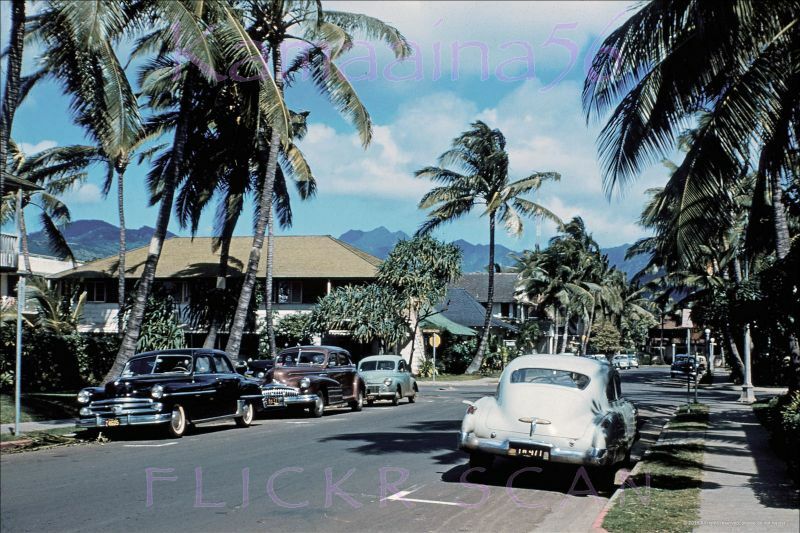 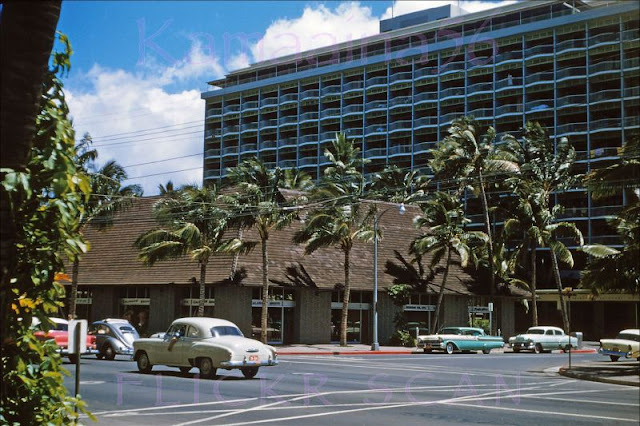 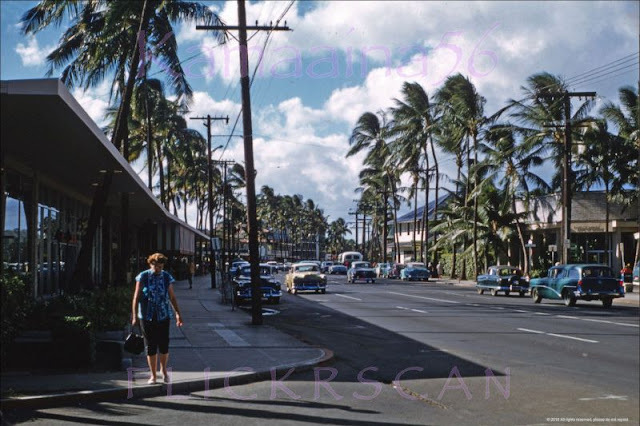 Waikiki is most famous for Waikīkī Beach, but it is just one of six beaches in the district, the others being Queen's Beach, Kuhio Beach, Gray's Beach, Fort DeRussy Beach and Kahanamoku Beach. 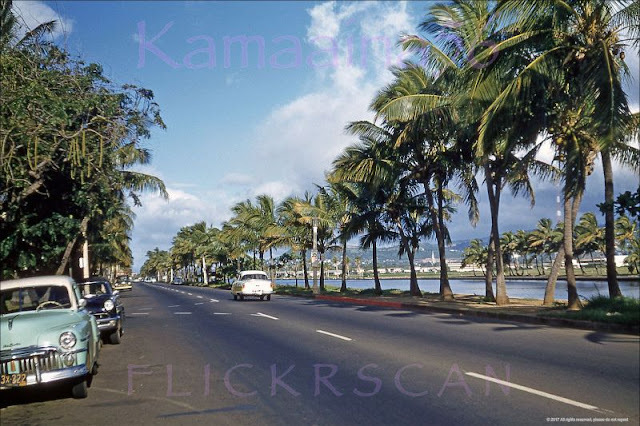 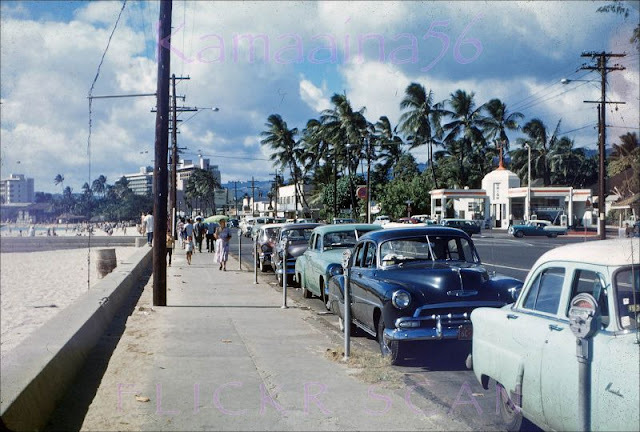 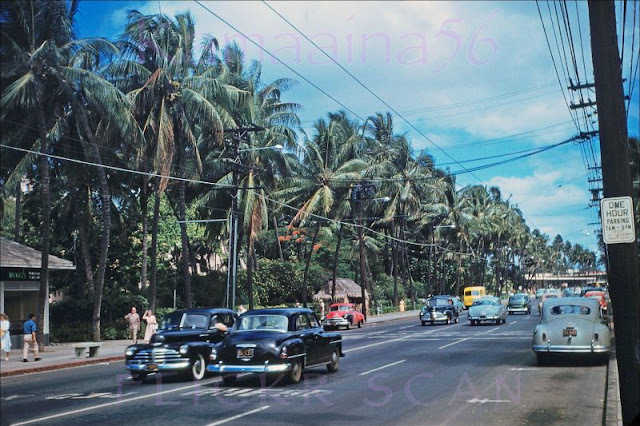 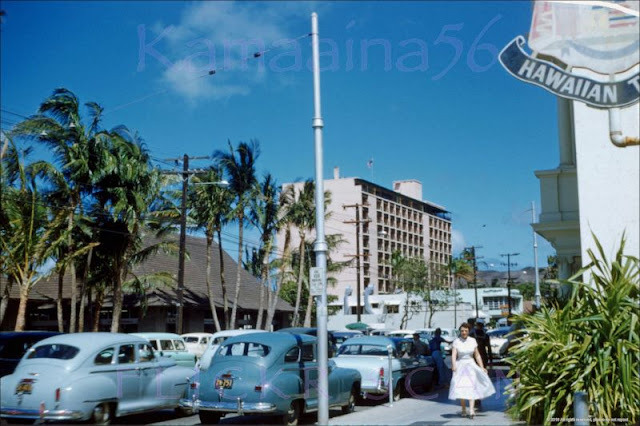 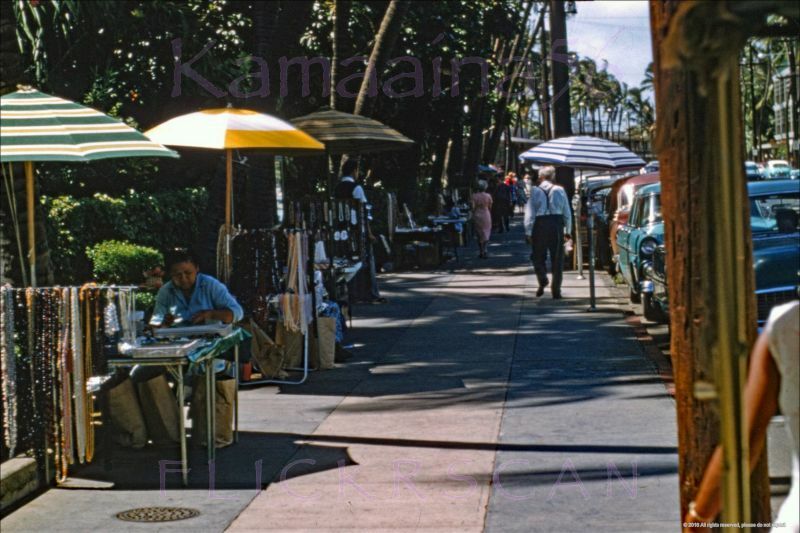 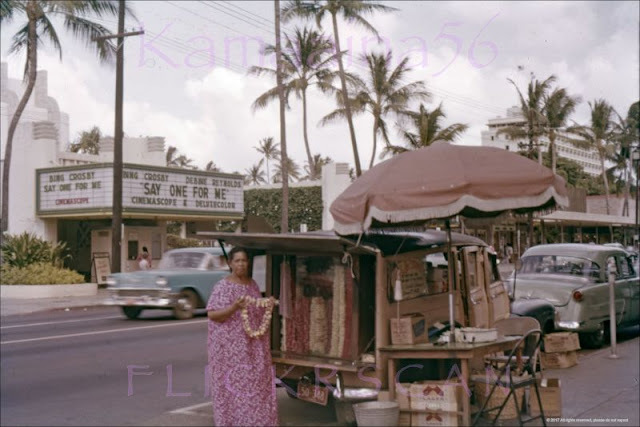 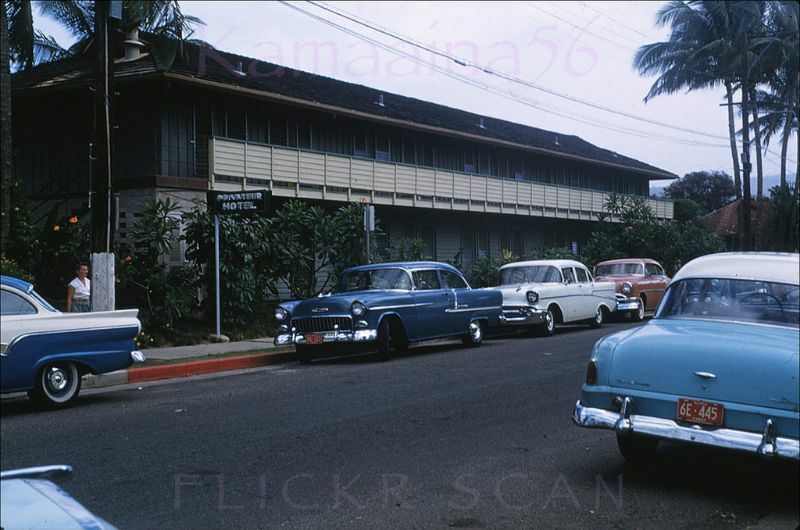 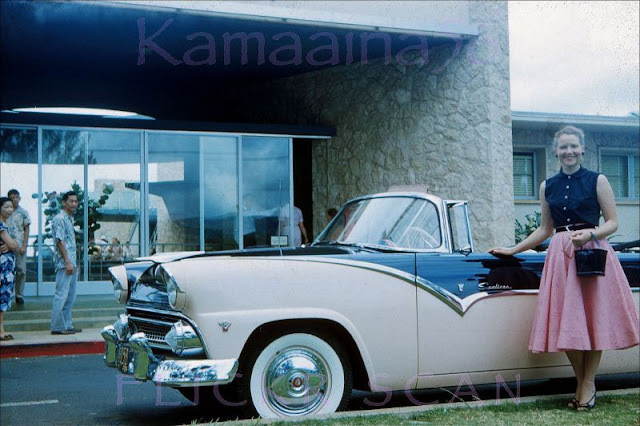 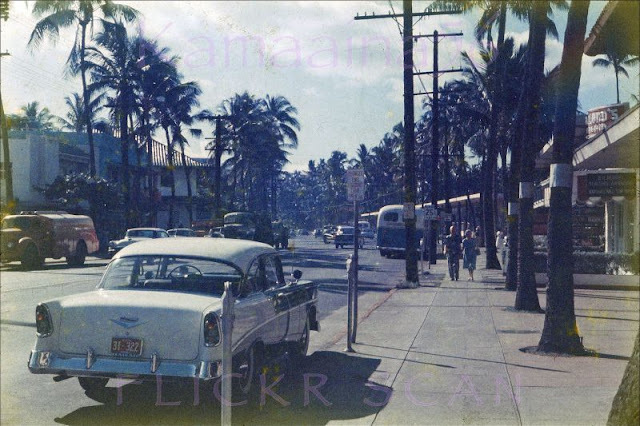 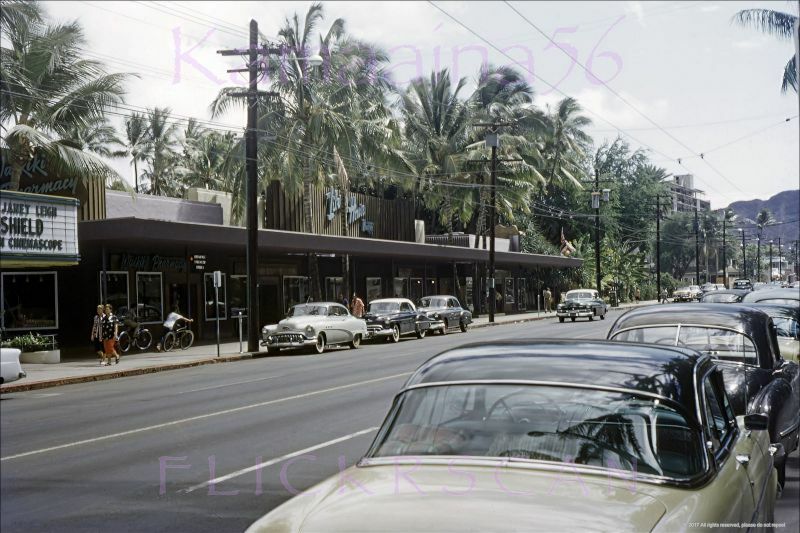 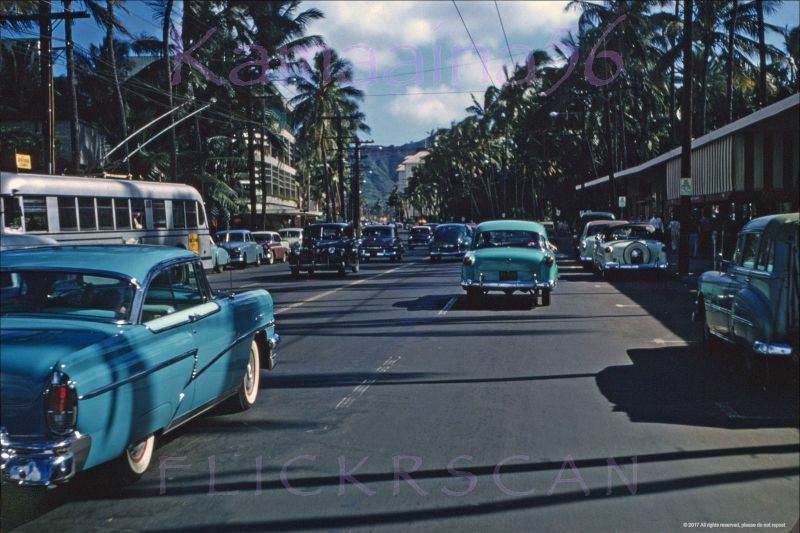 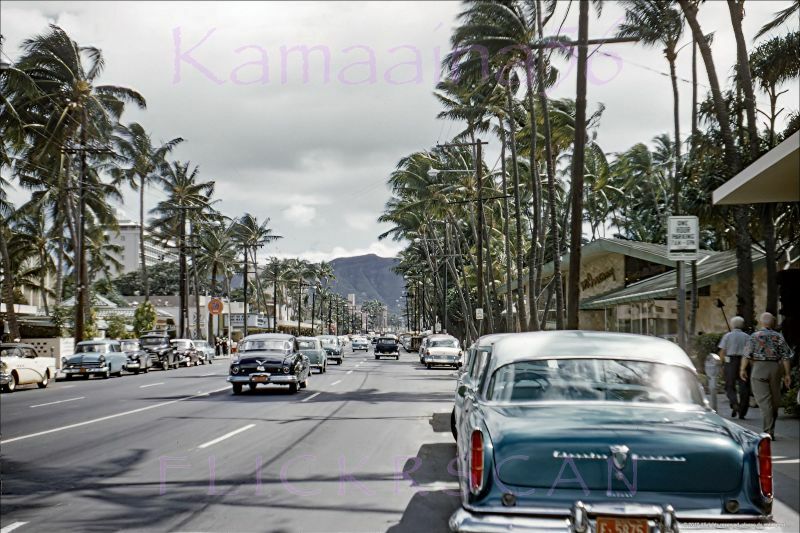 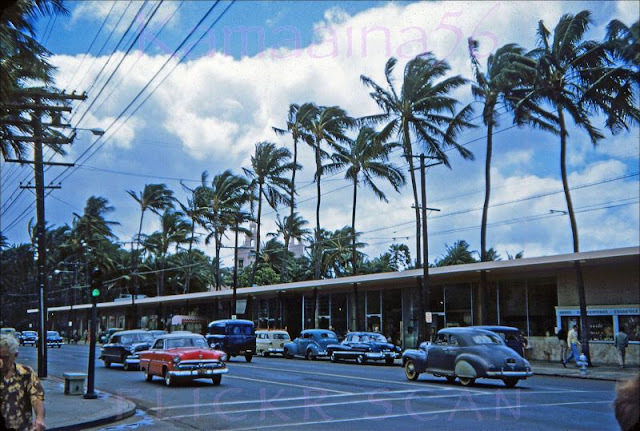 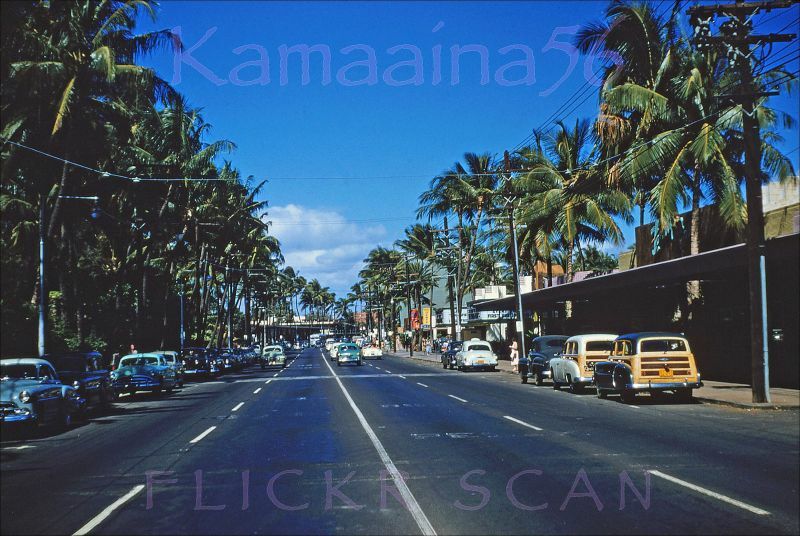 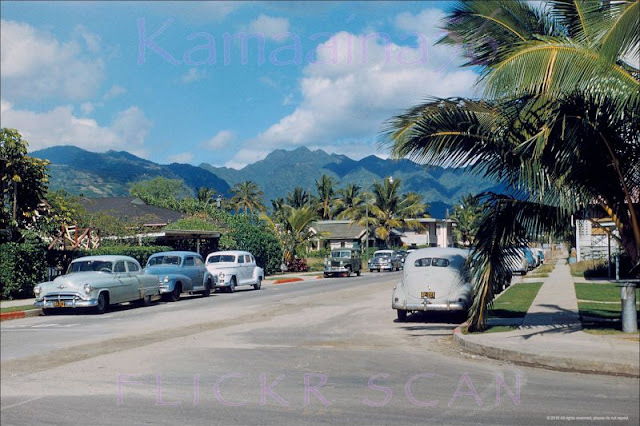 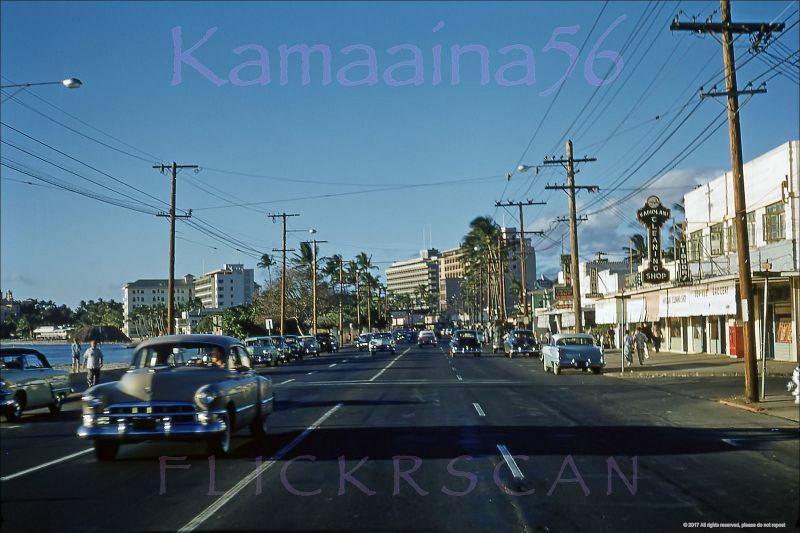 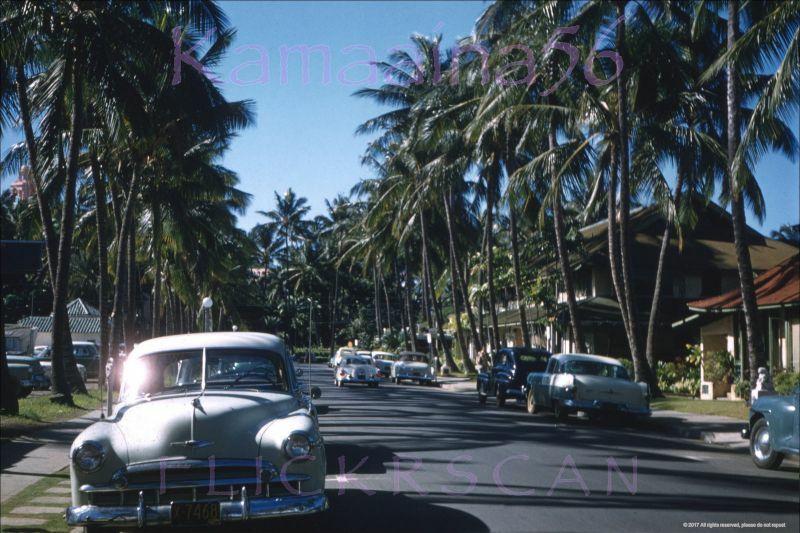 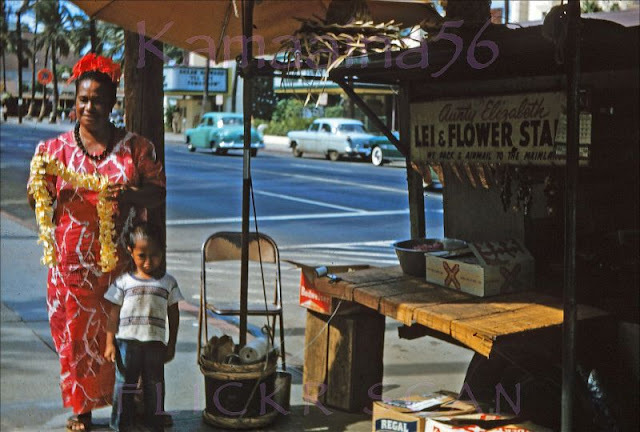 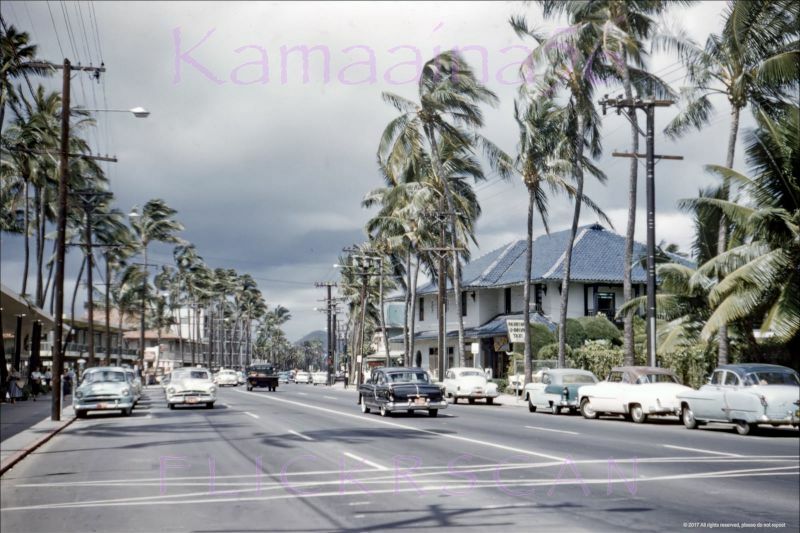 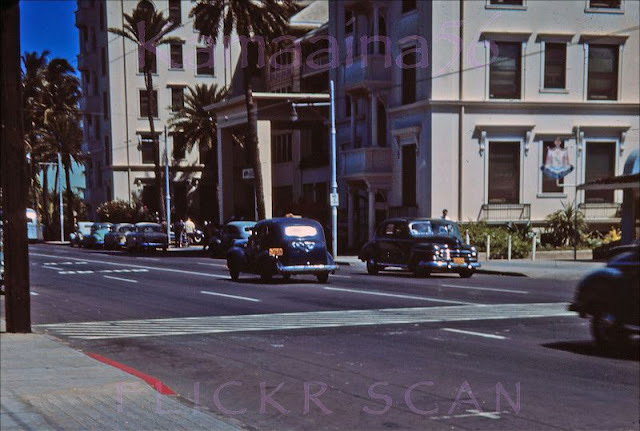 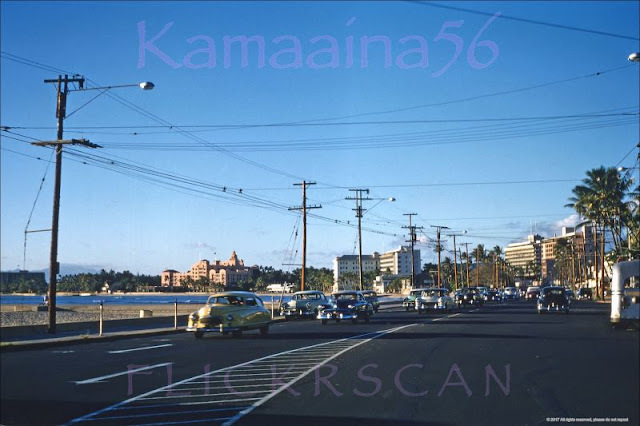 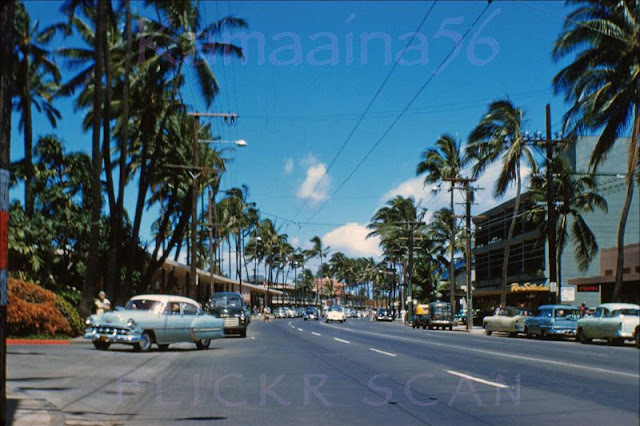 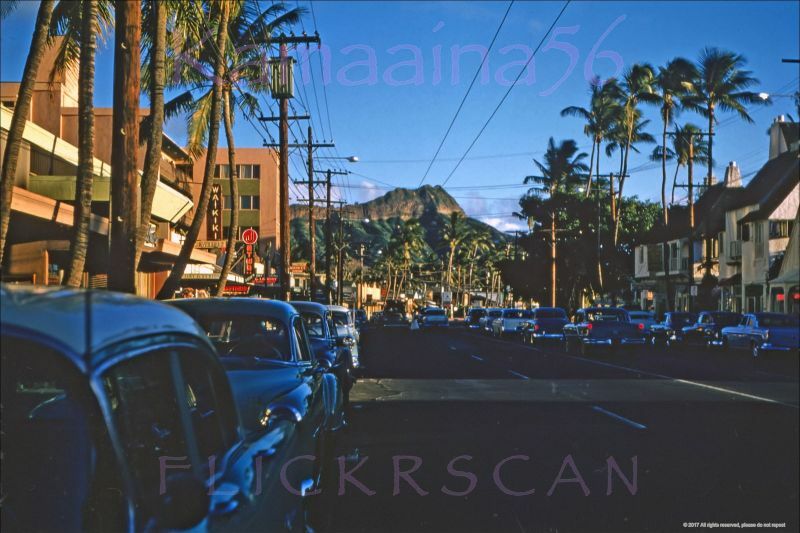 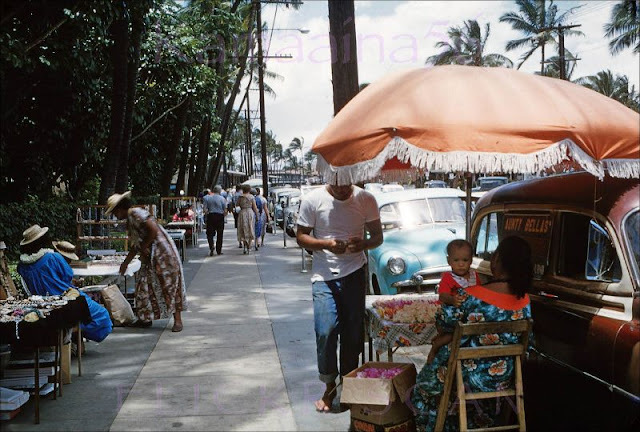 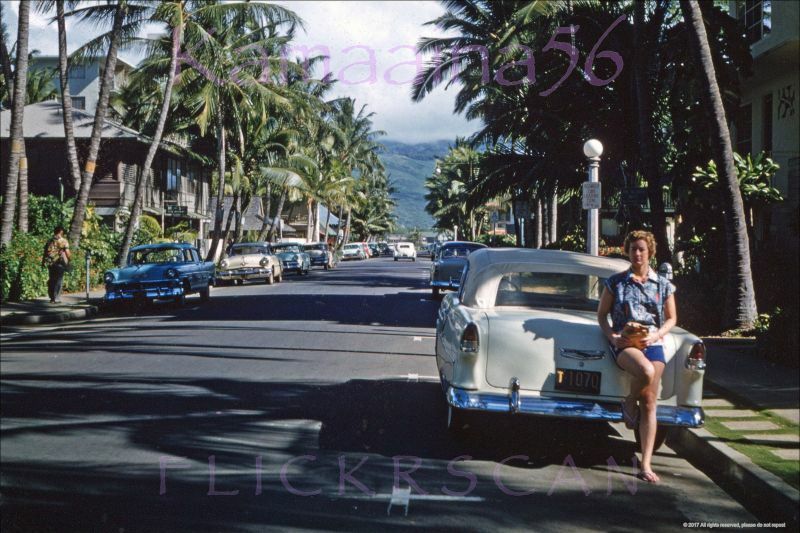 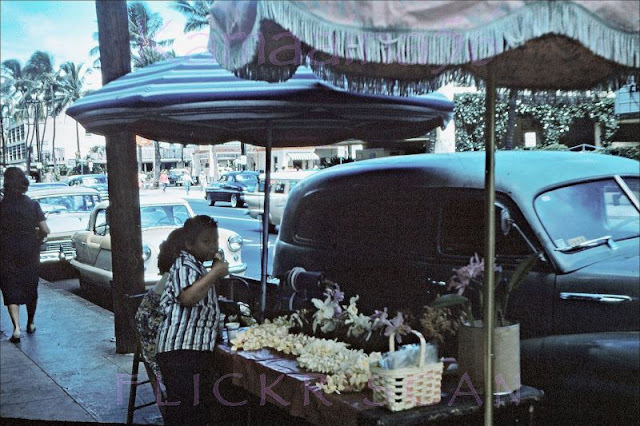 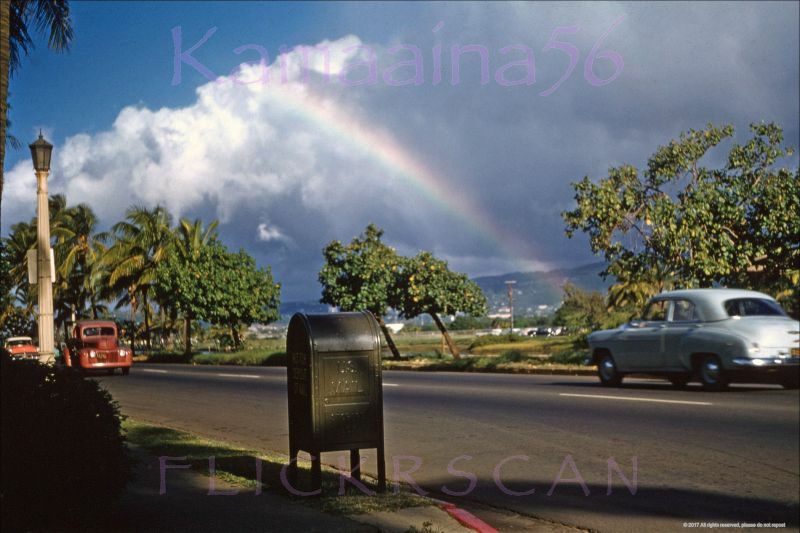 These fascinating snapshots from Kamaaina56 that captured street scenes of this beautiful town in the 1950s.